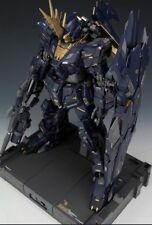 Another HG masterpeice from Gundam UC! Speaking hands, Bandai gives you 7 hands with this kit! UPC 4573102575920. Manufacturer # BAS5057592. Manufacturer # HG028. Soon, massive corporate enterprises with funds and access to technology began independently developing Hexa Gear designed for combat, further deepening the conflict. 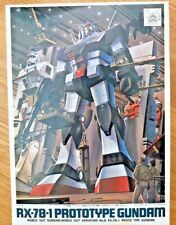 2000 Bandai MOBILE SUIT GUNDAM Gundam Wing Zero Anime open box 11601. Condition is Used. Missing one wing and sword. One of Gundam SEED Destiny's Zaku variants, the "Zaku Warrior" is a great-looking design, and this neat HG kit captures the look perfectly. Manufacturer # BAS5055465. 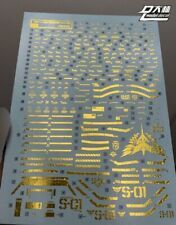 Premium quality METALLIC waterslide decal for MG 1/100 Sazabi ver ka only. This is not from Bandai. Model is not included. Runners x 9, Manual x 1 and Sticker Sheet x 1. Manufacturer # BAN216740. High quality waterslide decal for RE MG 1/100 Jagd Doga Gundam only. This is not from Bandai. Model is not included. Speedy shipping. Manufacturer # S01. GM/GM not included, adhesive required. This is a well-built pre-assembled model. I cannot be sure if all the pieces are present as it is a swap meet find, and the commander's fin seems to be missing. Feel free to ask any questions you may have. Requires assembly. Item size/weight: 20.2 cm x 14.5 cm x 4.7 cm / 127g. This is not from Bandai. Model is not included. Galactic Toys. This Large brush (L Dry) features a light ox hair and synthetic blend of bristles for stiffness and durability. UPC 5011921058266. Manufacturer # 63-20. CONVERGE #02 FW CHAR'S ZUKA II EQUIP:B. SEE PICTURES FOR FURTHER DETAILS. The Gundam Exia from the TV series "Gundam 00" faithfully created in stunning proportion and flexibility for the Master Grade line. 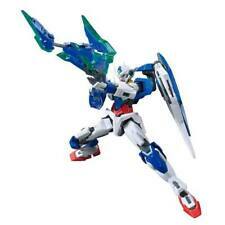 Features all of Exia's weapons including its iconic arm mounted GN Blade. No gundam box and extra parts. Customize your Hexa Gear any way you like! Molded in gray plastic. Manufacturer # KBYHG-016. High quality waterslide decal for HiRM MG 1/100 Wing Zero Custom EW only. This is not from Bandai. Model is not included. Speedy shipping. Pictures are of the actual item you will get. Kotobukiya Hexa Gear Scarecrow 1/24 Model Kit. Manufacturer # KBYHG-019. Madworks Light Line Engraver Chisel. Handle is not included. High Ductility Steel material. This chisel is used for carving your own panel lines into plastic models. 0.3mm Chisel. Can use on Plastic, ABS, PVC, Polyester Resin, Epoxy Resin. Designed and made by SIMP (Side 3 in USA). 3 parts per set, 2 sets per bag. Condition: NEW IN BAG. This is a posable, high-grade plastic kit. Requires assembly. Item size/weight: 19.2 cm x 25.7 cm x 5.8 cm / 250g. Not only that, but new backing parts on this kit accentuates the kit’s color division. Set includes two beam sabers. Runner x15. Foil sticker sheet x1. Instruction manual x1. Manufacturer # BAN230346. 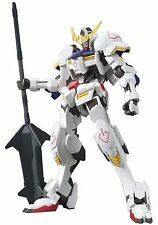 Bandai Hobby Build Fighters SD EX-Standard 011 Try Burning Gundam Model Kit. 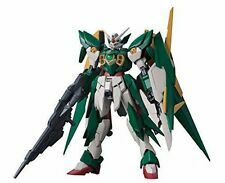 Bandai's SD Gundam EX Standard lineup features stylish proportions and newly designed joints for improved posability, as well as parts and weaponry that can be swapped with HG kits! 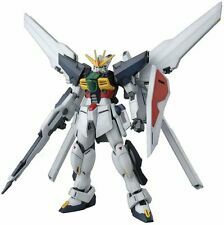 1/144 Real Grade version of the popular Freedom Gundam from Gundam Seed. 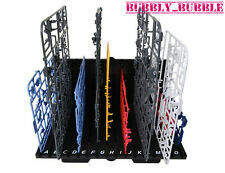 Beam saber x2, beam rifle x1, shield x1, railguns x2, plasma canons x2. 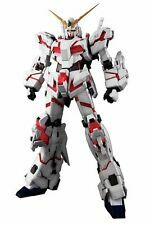 Bandai Hobby SEED Freedom Gundam RG 1/144 Real Grade Model Kit. 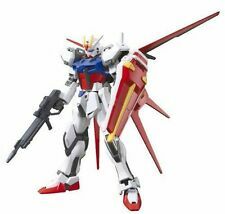 Bandai Hobby Gundam HGCE Freedom HG 1/144 Scale Model Kit. Manufacturer # BAN196727. No gundam included. 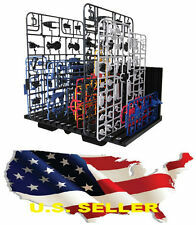 for 1/100 scale model kits. Easily kitbash and customize your kits without glue or permanent modification. Breathe new life into your old kits and their accessories! RG Wing Zero Custom.